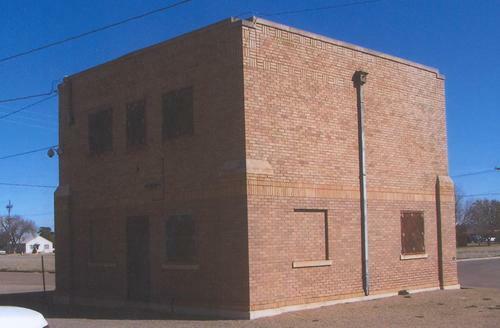 Parmer County Jail, Farwell Texas. 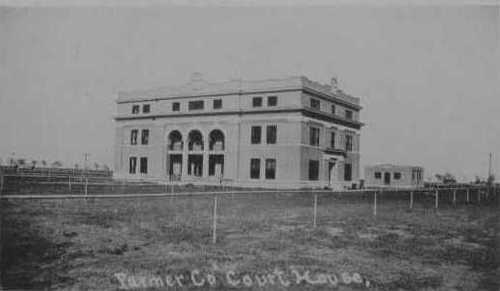 "The 1917 Parmer County jail in Farwell was built the same year as the current county courthouse. In 1928, a second story was added. 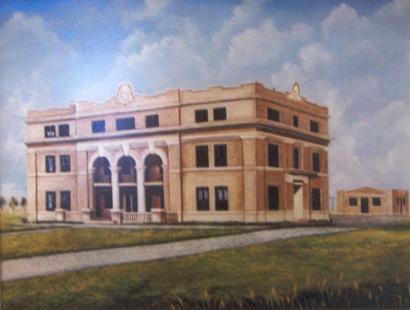 This oil painting of the Parmer County courthouse and jail is hanging in the first floor of the courthouse.